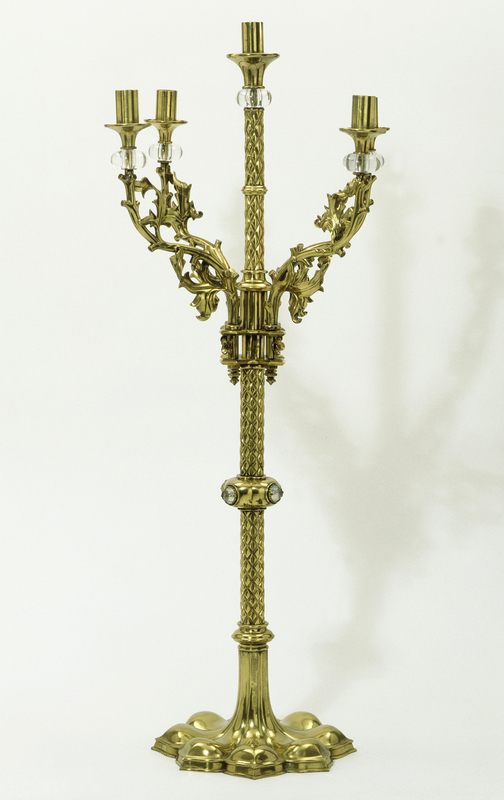 Gothic Revival was one of the most influential styles of the 19th century. 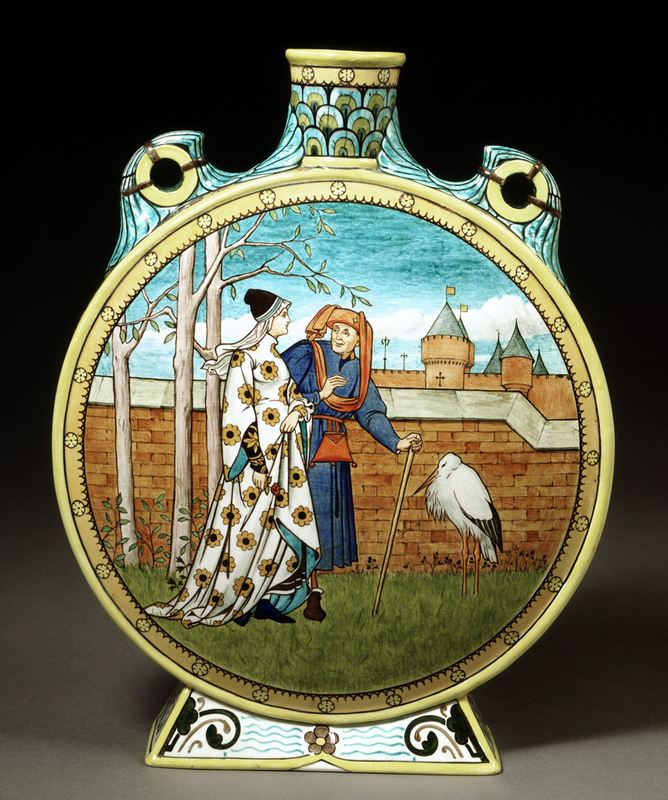 Designs were based on forms and patterns used in the Middle Ages. Serious study was combined with a more fanciful, romantic vision of Medieval chivalry and romance. A wide range of religious, civic and domestic buildings were built and furnished in the Gothic Revival style, which flourished from 1830 to 1900. Gothic buildings of the 12th to 16th centuries were a major source of inspiration to 19th-century designers. 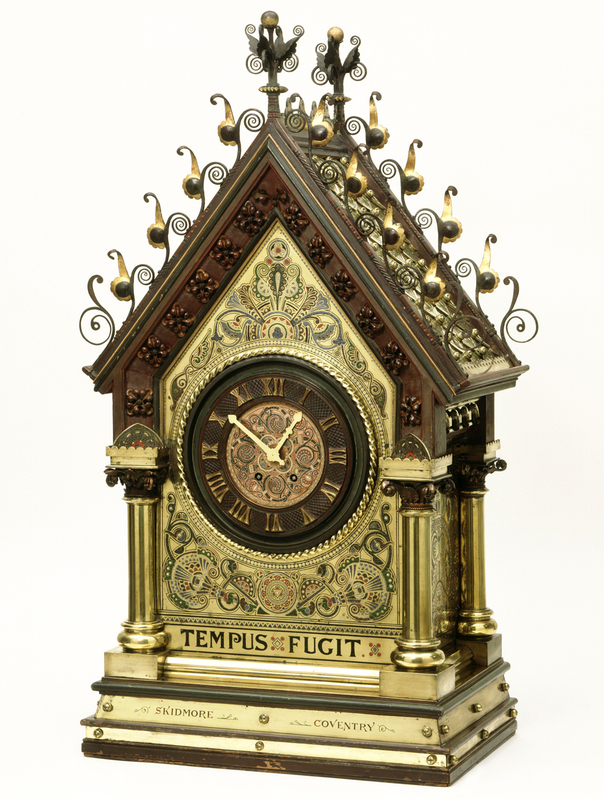 Architectural elements such as pointed arches, steep-sloping roofs and decorative tracery (ornamental openwork patterns) were applied to a wide range of Gothic Revival objects. Some pieces even look like miniature buildings. The 19th-century interest in Medieval chivalry led to the incorporation into designs of heraldic motifs found in coats of arms. 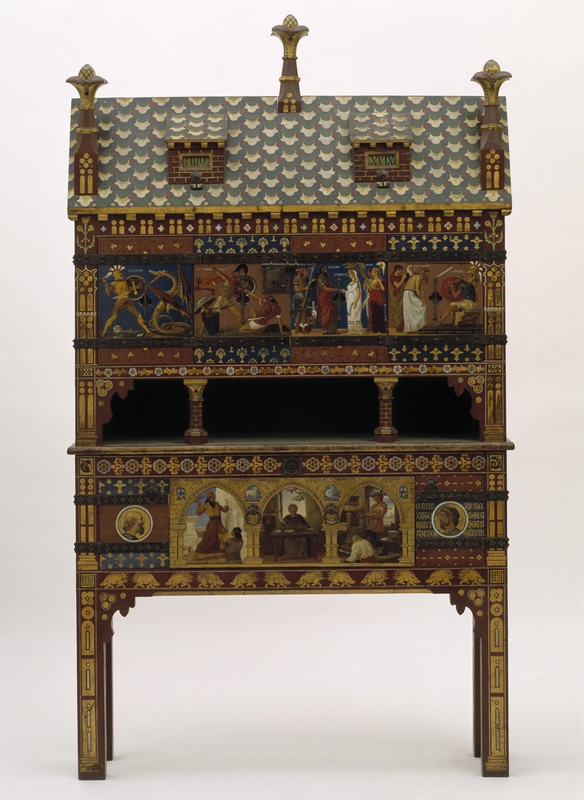 Furniture with elaborate painted scenes was a hallmark of the Gothic Revival style. In the second half of the 19th century there was great fascination for historical costume, particularly that of the Middle Ages. Fancy dress events and parties were extremely popular. The writings of A.W.N. Pugin, particularly Contrasts (1836) and True Principles of Pointed or Christian Architecture (1842), had a major influence on the style and theory of the Gothic Revival. 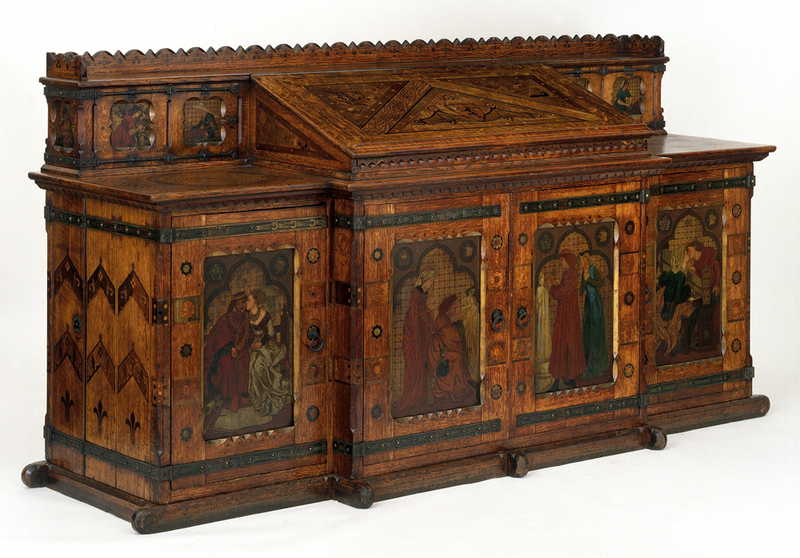 Pugin urged architects and designers to work from the fundamental principles of Medieval art. These included truth to structure, material and purpose. Pugin's own work included many Catholic churches (e.g. St Giles in Cheadle, Staffordshire), the Palace of Westminster and numerous designs for furniture, metalwork, ceramics, textiles, stained glass and wallpaper. He also organised the Medieval Court display at the Great Exhibition of 1851. 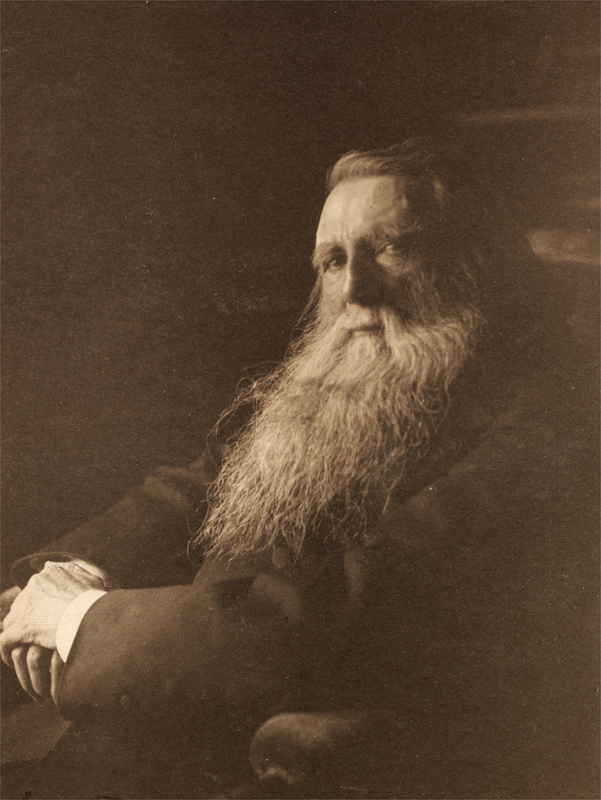 John Ruskin was the most influential art critic of his day. His interest in Medieval architecture was aroused by travels in Europe, during which he made detailed watercolour studies. 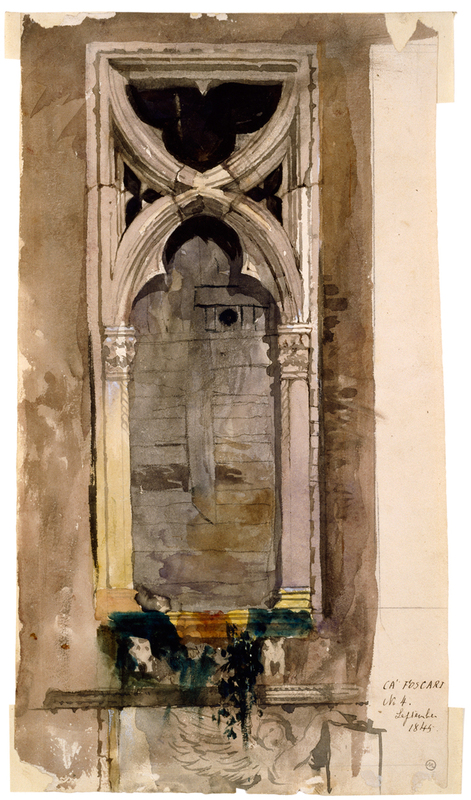 Ruskin was particularly interested in the decoration and colour of buildings. Two of his most important books, The Seven Lamps of Architecture (1849) and The Stones of Venice (three volumes, 1851-1853), had an enormous impact on the Gothic Revival. 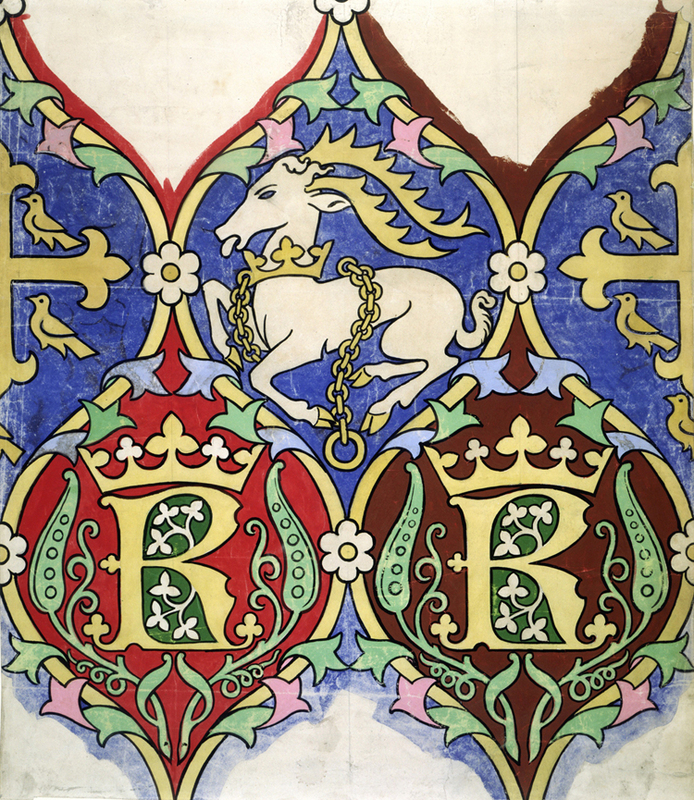 Ruskin advocated a return to the spiritual values of the Middle Ages which he felt had been lost in the mechanised and materialistic age in which he lived. 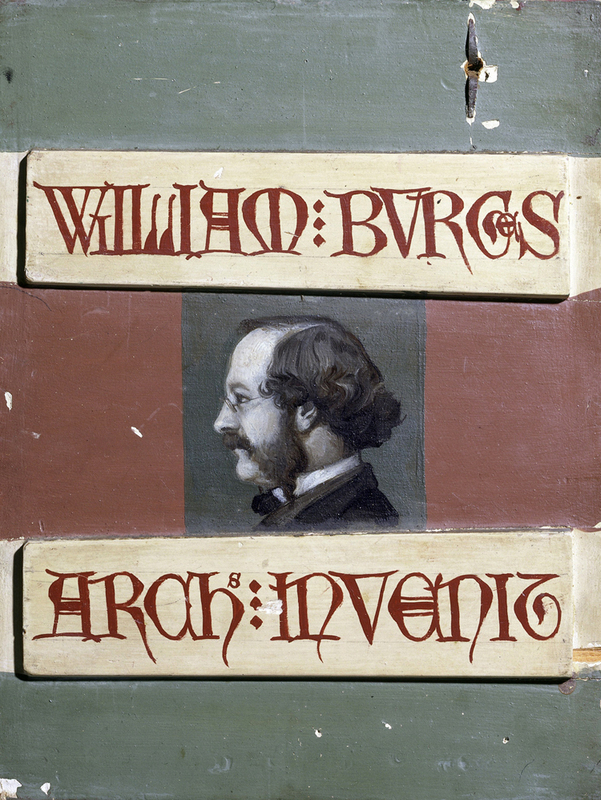 William Burges was one of the most original and exuberant designers of the 19th century. His work drew on a number of sources, including the arts of the Middle Ages, the Islamic world and East Asia. Burges created two of the most opulent Gothic Revival buildings in Britain, Cardiff Castle and Castell Coch (near Cardiff). The exteriors of the buildings, both built for the Marquis of Bute, are inspired by French Medieval castles, while the interiors radiate with coloured carvings, panelled walls and painted ceilings. 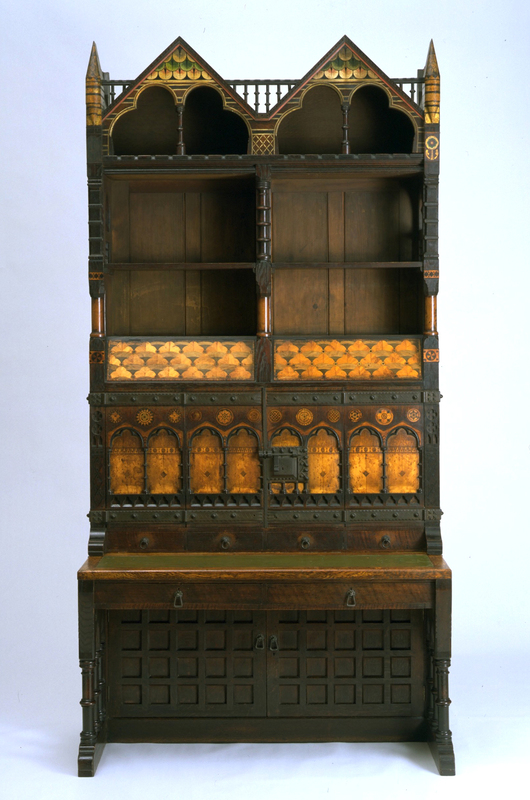 Burges's designs for furniture and metalwork are equally inventive and elaborate. In 1834 a fire destroyed much of the old Palace of Westminster, the British parliament building. It was decided that the new buildings should be built in the Gothic Revival style which was considered particularly British and thus appropriate for the nation's parliament. The buildings and interiors of the new Palace of Westminster, constructed between 1837 and 1867, were designed by Charles Barry. His assistant A. W.N. Pugin provided much of the Gothic detail. It is the largest, and most dramatic, Gothic revival building in the world. The 19th century saw a great religious revival. Old churches were restored and many new ones were built, the majority in the Gothic Revival style. All Saints' in Margaret Street, London, was designed by William Butterfield and constructed from 1850 to 1859. It was built in the High Victorian Gothic style, a development of the Gothic Revival that was less dependent on specific Medieval sources. The differently coloured bands of bricks on the exterior and the polished coloured stone and richly patterned walls and floors on the interior are very characteristic of the High Victorian Gothic style. The 19th century was the great age of railway construction. St. Pancras was the London terminus of the Midland Railway. The Grand Hotel which stands in front of the train shed, was designed by George Gilbert Scott, one of the most prolific Gothic Revival architects. Built between 1866 and 1876, it has a curved brick façade, arcaded windows with polished granite shafts and an elaborate skyline and clock tower. Inside there are lavish staterooms and a dramatic staircase supported by exposed iron beams. The Gothic Revival developed from the Medieval Revivals style. The earlier style had been the concern primarily of a small group of scholars and lacked the serious moral concerns that characterised the Gothic Revival Style. 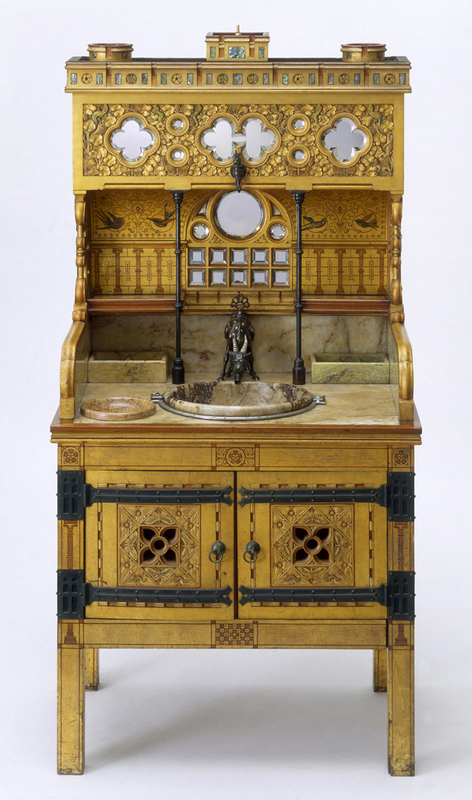 Objects tended to be more delicate and fanciful and lacked the bold forms and bright colours of the later style.